Wealth and Prosperity wax seal amulet bracelet. 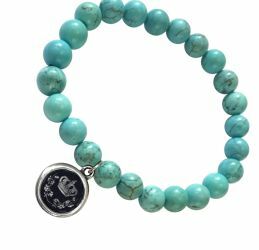 Comes with a crown wax seal amulet on an aventurine bracelet. A Crown is symbol for Royalty and Cherry Blossoms for Wealth and Prosperity.